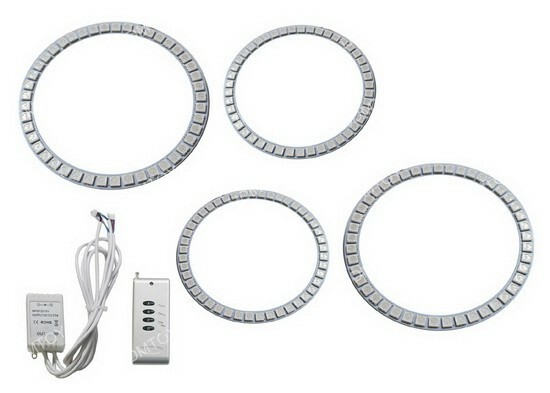 Because this product requires adhesive applications, such as using glue or double-sided tape, there is no return or exchange allowed once it is installed. 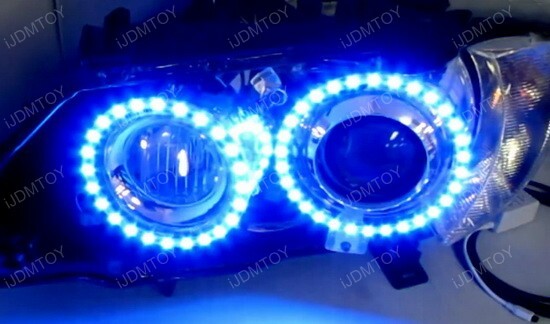 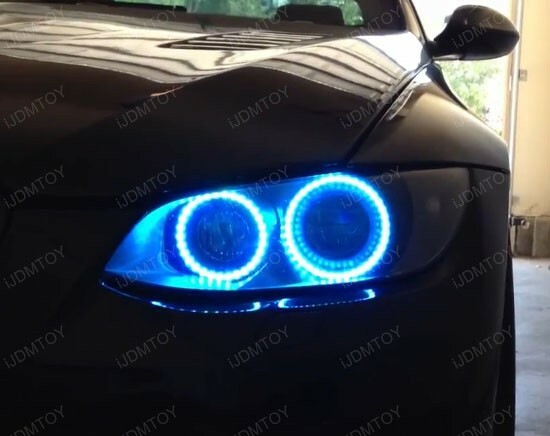 It is 3-4 times brighter than conventional H8 LED angel eyes ring marker bulbs and you can change up to 7 different colors for the LED rings and set the LED rings with four flashing patterns. 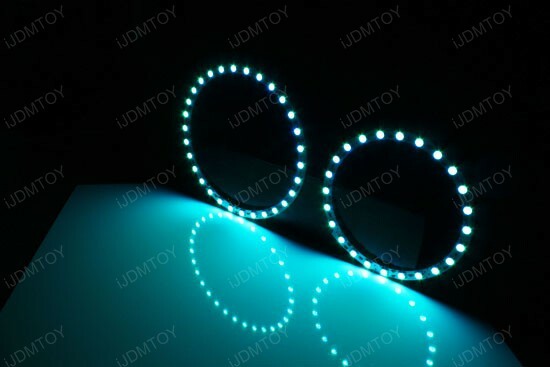 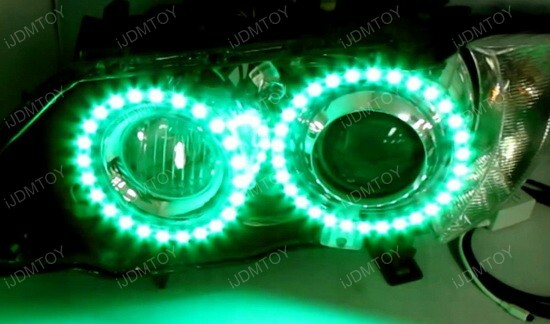 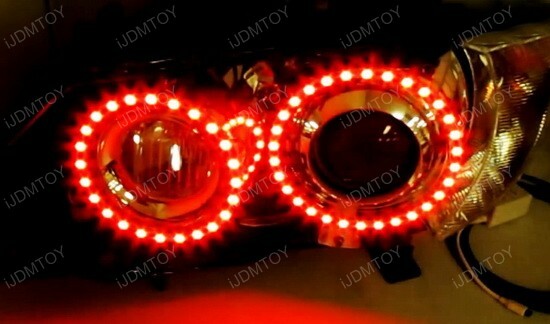 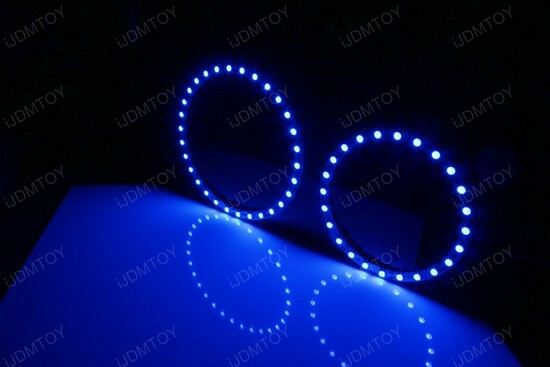 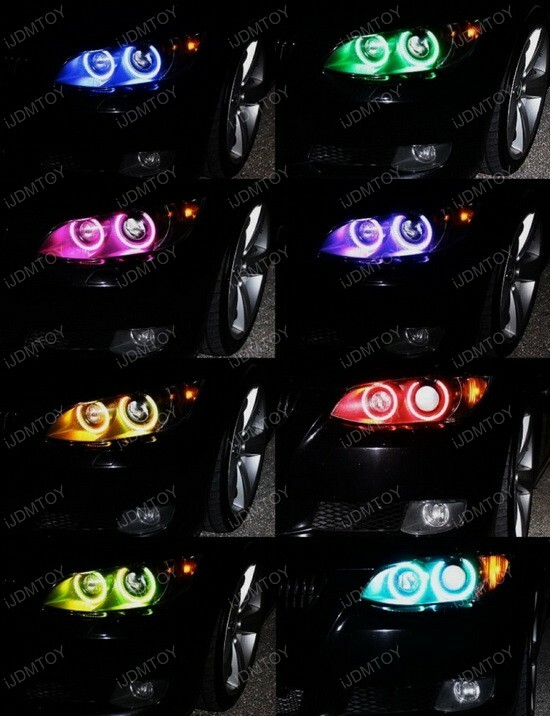 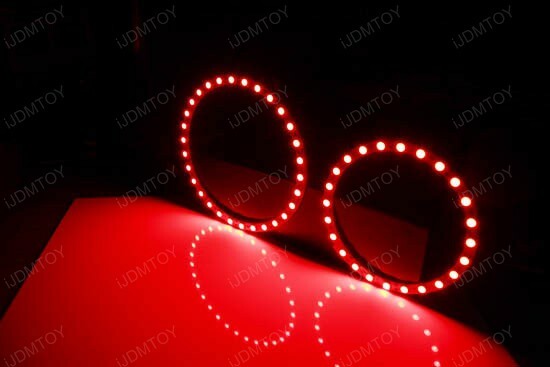 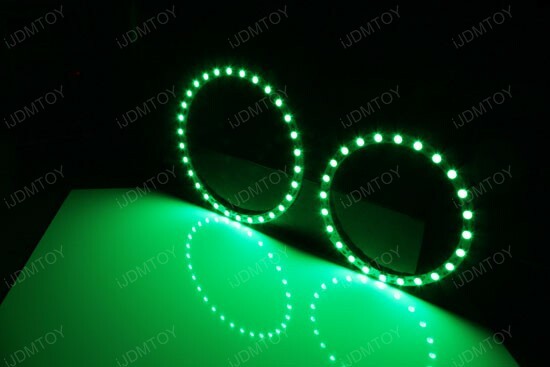 You get 4 pieces of RGB LED rings for both sides low beam and high beam, in total 180 pieces of 5050 SMD LED lights.